By Christopher Reynolds The Canadian Press Sun., Nov. 11, 2018 Two months into the launch of her dance studio, Natalie Borch needed a loan. 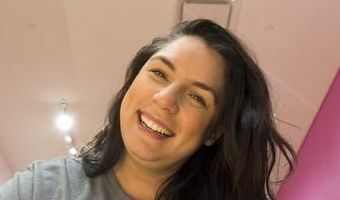 The 34-year-old first-time business owner had opened the doors to The Pink Studio in February after she and her brother invested $40,000 of their own cash and took out a $100,000 loan from the Business Development Bank of Canada. “We just needed a small amount of money to expand our services for new teachers and classes,” she said, from beginner Beyoncé to Bollywood fusion. Finding no help from the main banks, she found Lendified Inc., a fintech startup that offers loans to small businesses based on artificial intelligence-powered screening assessments. After filling out a few online forms on cash flow and collateral, Borch received a $30,000 loan. Article Continued Below Borch is one of the latest beneficiaries of an Ai-driven overhaul in the financial sector as the big banks scramble to tap a vein that … [Read more...] about Will AI give small-business owners, fintechs a leg up—or reinforce status quo?